Thank you for all of your interest. All of our Spring, 2018 puppies have been spoken for! If you'd like to be put on our list for puppies in the Spring/Summer of 2019, we plan to breed 1 litter in 2019 (Secret to a dog yet to be determined). To be put on our waiting list for a puppy, we require a nonrefundable deposit of $500. If, when the litter is born, it is smaller than expected and we don't have a puppy for you or we don't have enough in the gender you wanted, we will happily return your deposit or give you the option to move it to our next litter, should we have one planned. If you decide you'd prefer to buy from another breeder or pass on a puppy this time, we will retain your deposit to care for and market the puppy. Total price for a puppy is $1500. This includes tails docked, dewclaws removed, worming as needed, 1st set of puppy shots, and AKC registration. 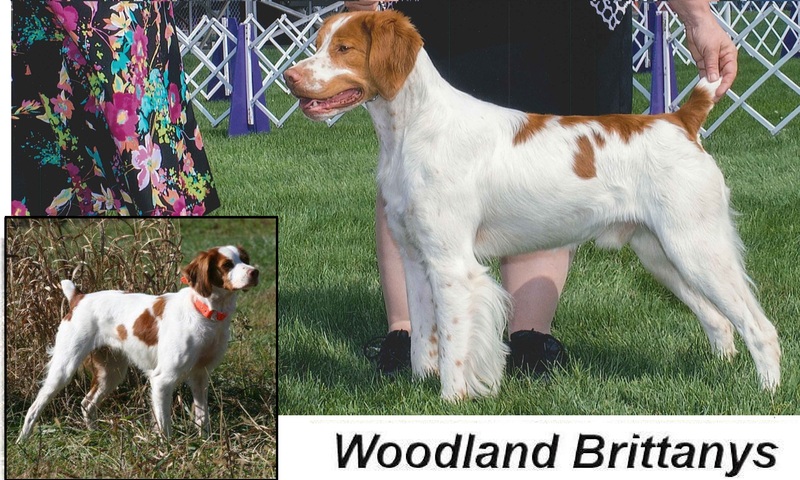 All puppies from Woodland Brittanys are guaranteed free of kennel borne illnesses (such as kennel cough and parvo) for 7 days from the date the puppy is picked up, and from hereditary and congenital disease (such as hip dysplasia and retinal atrophy) for 3 years from the birth of each puppy. Ann Marie, Ginny & Deb can each point you in the direction of wonderful, reputable breeders in the NJ/PA/DE area who either have pups now, or are expecting pups in the near future.